There's a thrilling/exhausting confusion to it, and I am excited to both embrace and tame that a little. How did we get to be here? 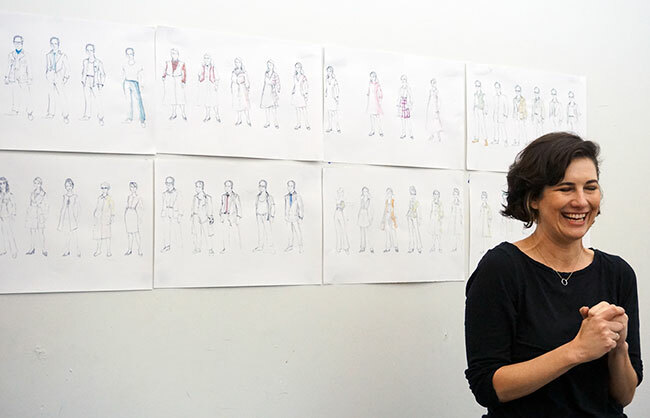 Costume designer Paloma Young spoke to us about re-imagining Merrily We Roll Along. An edited transcript follows. 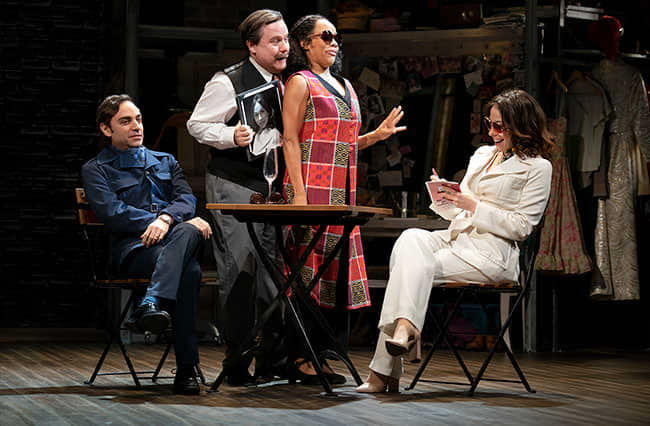 To read the full interview, check out the Merrily We Roll Along UPSTAGE Guide. I love the way Merrily We Roll Along feels like rewinding a timer, letting it run forward and then twisting it back again. There's a thrilling/exhausting confusion to it, and I am excited to both embrace and tame that a little. As a costume designer, it is always fun to explore how the personality traits of the characters evolve or remain the same over time and what that means for the way these characters dress themselves. The action in Merrily transpires backwards over 23 years in the 20th century, so I covered a lot of ground collecting primary source images. Noah Brody, the director, and I met several times and looked through those images. The small cast and the Fiasco style require paring the costume design down to something elemental. We are creating a world that takes place in an imagined backstage space, so the costume design process will allow for ample improvisation. I'm lucky to know the cast as I design, so I can look at each individual and design to their body and personality. Defining the world can be easy to do with period pieces, but the period in Merrily is a moving target. I think this may be the first show I’ve designed where the characters themselves have become the geography I keep returning to.